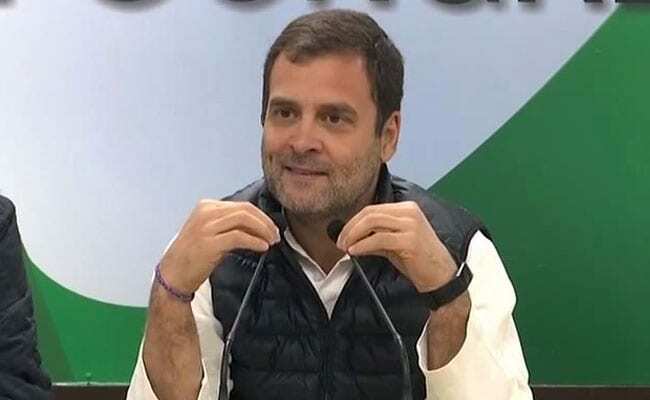 Rahul Gandhi had called ANI editor Smita Prakash a "pliable journalist"
While attacking PM Modi on the Rafale jet deal at a press conference on Wednesday, the Congress president had referred to his exclusive interview to ANI editor Smita Prakash on January 1. "He (Modi) does not have the guts to come and sit in front of you. And I am coming here, you can ask me any question. You saw the prime minister's interview yesterday...matlab pliable journalist, she was asking questions and was even giving answers." Union Minister Arun Jaitley, in tweets, scoffed: "The Grandson of the Emergency dictator' displays his real DNA - attacks and intimidates an independent editor." The BJP's Amit Malviya retaliated shortly with another montage of interviews taken of Rahul Gandhi, his mother Sonia Gandhi and even other leaders like Akhilesh Yadav. Mr Malviya commented in the tweet: "Dear Rahul Gandhi, let me show you what 'pliable' means...Enjoy!"